Our Story - Chillin' out in WA - Have an Ultralicious day! Chillin' out in W.A - The Home of the Award Winning Ultralicious & Chef Kenny's Range of Hand Crafted Gourmet Chilli Sauces. Quality Mexican Food Products Importer & Wholesaler. Chillin’ out in W.A is based just South of Perth in Yangebup, Western Australia. We have evolved over the last 18 years into an award winning hand crafted gourmet chilli company & Mexican Products Importer and Wholesaler. All of our products are hand crafted by Chef Kenny Roberts. Our Award winning sauces can be now found in many stores throughout Western Australia. Click on our Where to buy Page to find your nearest store. Directors, Shirley-Ann & Chef Kenny have personally hand selected High Quality Mexican food products to ensure the best flavours possible, to give you a truly genuine Mexican food experience right here in Western Australia. Any size Wholesale and Food Service enquiries welcomed. With our Ultralicious and Chef Kenny's Extreme Heat range's, our fully equipped Kitchen & Warehouse we do everything to bring West Australia made Gourmet Chilli Products & the cuisine of Mexico to you. 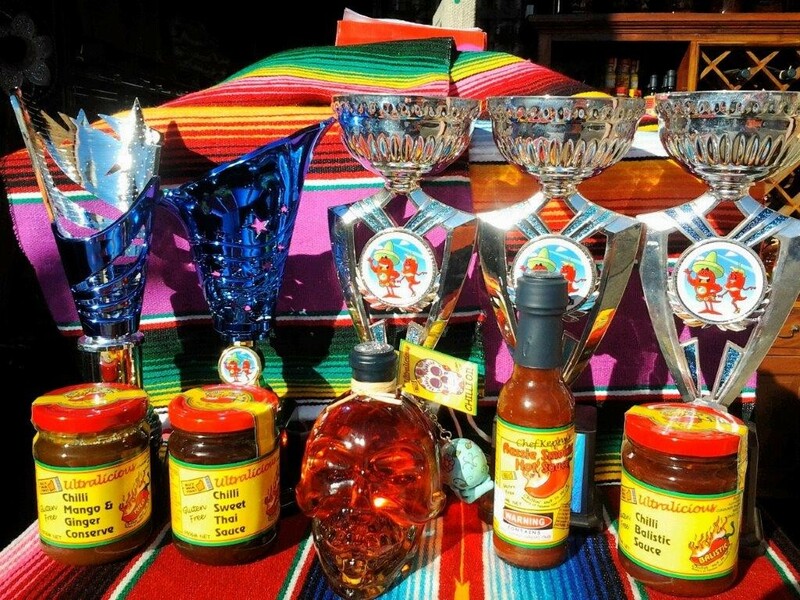 Contact us today and taste the difference of our Award winning products & genuine Mexican Taco & Nacho sauces, Beans, Tortilla's and Fajita's, Jalapeno peppers, Chipotle and many other products. Come visit us, call us or visit one of our stockists.